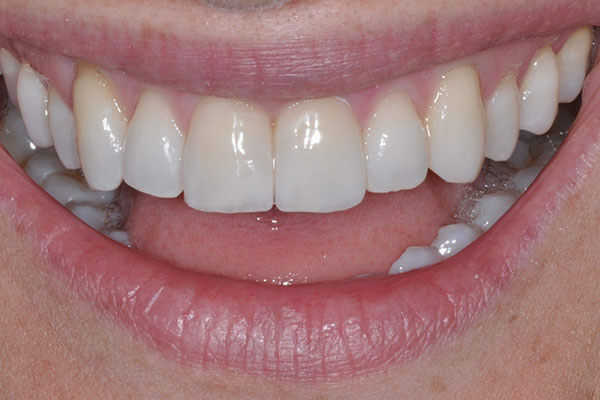 The most esthetically pleasing and potentially beneficial tooth restoration is presented by a single ceramic veneer. 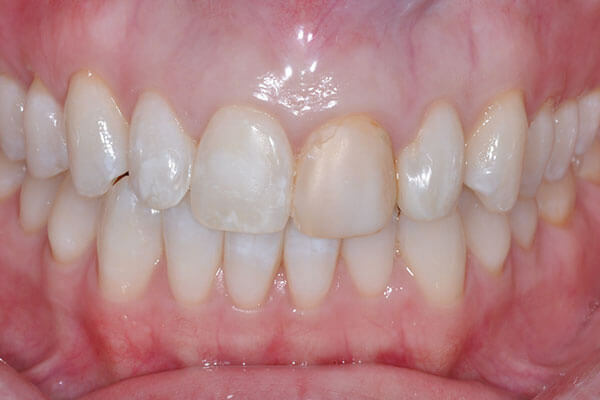 The quality of the restoration is critical such that its use is favored to maintain the inherent quality of a smile while preserving valuable tooth enamel and not involving adjacent teeth. The expertise of the ceramic technician is most important to “match” this technique sensitive restoration. 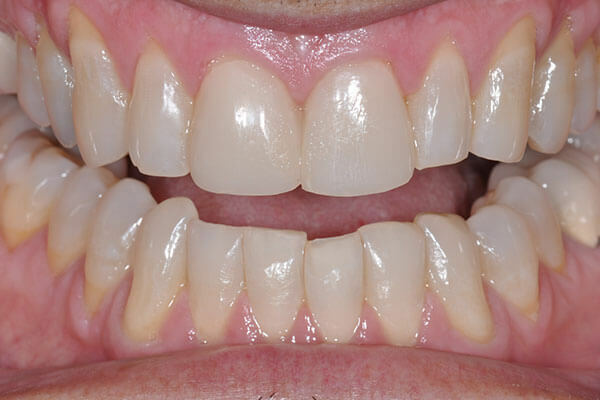 Overall improvement is accomplished with two ceramic veneers on the central incisors. Preparation of the teeth is conservative and limited within the tooth enamel for the highest bond strength of ceramic material to tooth. 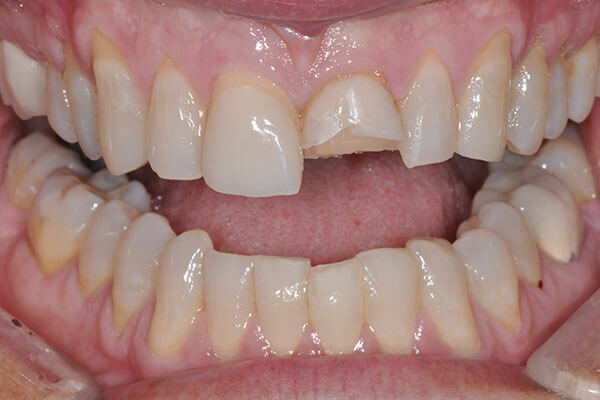 This patient, with previous ceramic restorations, presented with a fractured tooth and veneer. 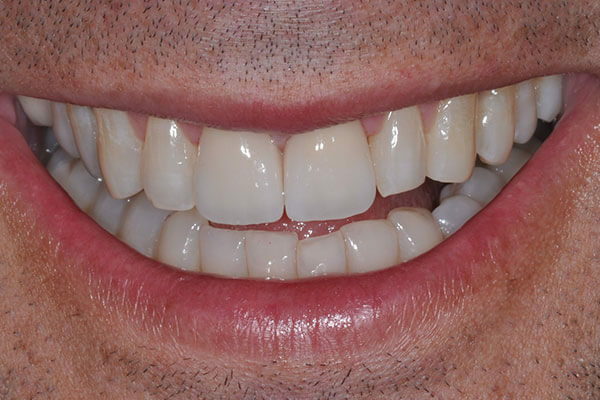 Due to the amount of tooth structure lost, a stronger “pressed” ceramic restoration was used over traditional “layering” porcelain material. 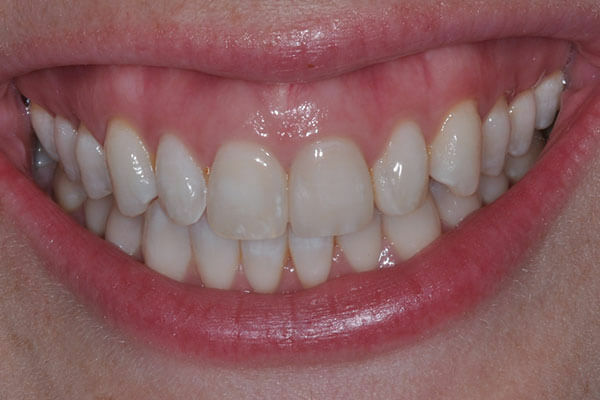 Provisional or “temporary” veneer restorations are seen here, improving tooth proportion and contour. 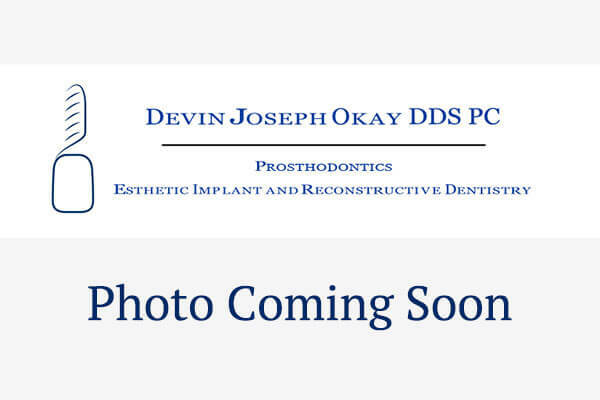 The provisional restorations resemble the final restoration, which helps communication with patients and technicians to achieve the desired result/outcome. Definitive ceramic restorations in place. 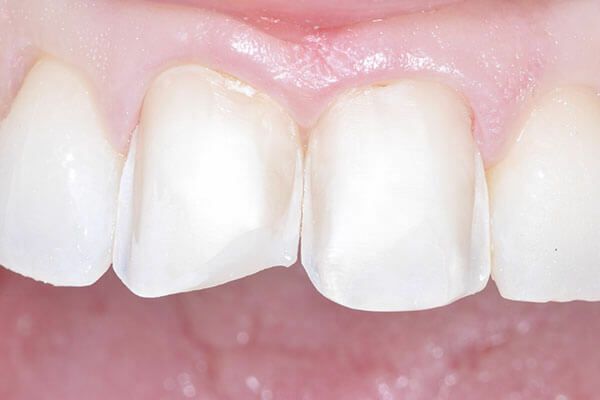 Occlusion, or the bite relationship with lower jaw movements, is an important aspect to the comfort and longevity of clinical outcome.